I thought it was a great event and that the crazy salt you caught was hateful, undeserved and bordering on insane. Hope you have some fond memories of it at least. Please receive the thanks and gratitude for your efforts of an ED player who had a grand time. 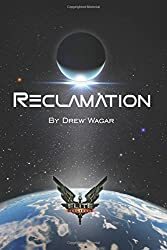 I have read reclamation many times now and I have to say it is a great book, I have not read premonition yet, I was there for the Salomé event, it was a very sad outcome, but it is rare that an author interacts with his fans in this way and I have to give you kudos, you are a great writer, I can’t wait to buy premonition and read it. Hi Derick, thanks for the comment. I really enjoy interacting direct with the folks who read my stuff, finding out what they like and don’t like – I don’t intend to stop that. 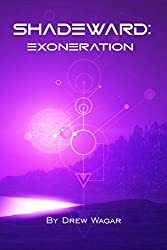 I hope you enjoy Premonition, it’s not just about Salomé, there is lots of other stuff going on there too. Cheers! Thanks for all your hard work, Drew! > But that seems defeatist to me. I tried something, it was controversial, it didn’t turn out how I expected. Frankly, it turned out exactly how most people expected. That it was a terrible idea was obvious to anyone who has been playing MMOs long enough – if there is any way for players to disrupt any story, event etc, it will be done. It often only takes a single individual who derives their satisfaction from watching the world burn. Drew, having the game’s most notorious troll on your friends list meant that there was only ever going to be one outcome, given that he would know where you were at all times. How you thought that this was going to end any other way is surprising. I mentioned before that I couldn’t read the second book because of the predictable ending to the event, knowing that HP was essentially gifted his most famous kill irked me more than I thought it would. Reading this and some of your recent tweets though struck a chord. I would just like to say that I’m sorry that you received any vitriol. You need a thick skin and a firmly grounded perspective when dealing with gaming communities. Gaming seems to create entitled brats, and forums give them a voice and anonymity. You certainly didn’t deserve malice for trying to contribute something to the life of the game. You were by far the best contributor to the game. Salome was one of best characters to have ever existed in a game. From the original Reclamation, and the Formidine Rift, to her arrival at Beagle Point created a positive buzz in a way that I’d never thought possible in an online game. (Remember the entitled brats.) I thought she deserved better than a death at the hands of Harry Potter. Then it struck me, that maybe this in itself was more worthy of my attention. The fact that I felt anything about the way that she died shouldn’t be overlooked. So, on that note I’ll be giving the book a chance. I hope you come back at some point. The game is only hollow without the community and contributors. It relies on the lore. Some of your recent tweets make it seem like you’ve soured on the game somewhat. I’m detecting that quite a bit from some of the players on the forums, and not just the usual permanently outraged types, but some of the more moderate players too. I did try. I appreciate the comment. Many thanks. Thank you very much, Drew, for your explanations. It was an honour to work on that story with you. The honour and privilege was mine, CMDR. Thank you. Well written as always Drew. I do regret the amount of unwarranted abuse you received as this event was the greatest in game event I’ve experienced. One year on and I still play the game I love but the content is all but gone. I do hope one day you reconsider and get involved again, Elite Dangerous is all the poorer for you no longer contributing and in danger of dying out IMO. Whatever your future brings I personal;ly wish you well and thank you for all you did for this game and community. o7 Cmdr. Thanks Tal, I’ll be back to play ED when the Q4 update comes out. Exploring was always my first love, hopefully they’ll be some cool stuff to see and do. Thank you for this, Drew. This is good closure for me, and I respect your final say on the matter. I felt the year anniversary was a good time to write this up. I had taken notes at the time and they weren’t bad, but I was effected by the backlash, so it took me a while to regain equilibrium. It was a shame to hear you’ve moved on from Elite. But at the end of the day you do what’s best for you. For what it’s worth I think the event was awesome, I mean we had people with all sorts of motives and affiliations and to me that made it great. Surely in a situation like this there would be infiltrators, spies, enemey, ect. So for the people who constantly cry that she was killed, yeah it sucked, but so what. It happened. That was the point, give the player base the choice. That being said I kinda wish I did more instead of staying in one system because PAC said so though haha It might have been fun flying around trying to avoid PAC whilst trying to protect Salome. But I do think it was great. You gave the players a choice to decide the future of an important character and that I am thankful for. Regardless of wether Salome was killed for Lore reasons or “just for the lolz” it was a legitimate ending in my eyes. To be honest Reclemation was the first book I read in years. I used to read Doctor Who all the time when I was younger but I stopped reading. Know I’m slowly getting back into reading. So thank you for that. Where yes there were practical mishaps (I say mishaps because they weren’t exactly something you can just plan around only predict they COULD happen) I would tip my hat to that day over and over. I myself was not involved how I had hoped in that I was stuck just one system behind her for the most part. Trying to keep my distance from the defense bubble that had amassed which in of itself was an interesting reaction from my view. But I am glad to say I was part of history that day. Where tensions between groups will always be a thing I hope one day that we can write them into intricate tales of wars fought for decades over an event long since forgotten or how entire system fell beneath the wake of war as factions took their disdain beyond the realm of peace. I don’t know I’m a strange one in that I see a story in the smallest of things. But that is also why I love Elite Dangerous in particular. I can see thousands upon thousands of untold stories when the stars are the actual limit. Now that I have finished babbling, it was an interesting idea with interesting results. Take that for what you will but I for one thought it was quite an adventure. I thought from the outset you were damn brave to attempt what you did and I remember the excitement and anxiety of her final run. Amazing idea that was expertly executed. Thanks for allowing the ED community to close Salomé’s chapter and thanks to Charlie Hall for an excellent article. It was a fantastic event and kudos to all those who made it happen. I think some people forgot that this was an event like no other that had been attempted, and with very limiting game mechanics to make it work as well as intended, nevertheless you pulled it off and made it memorable. If FDev had any sense they’d hire you back in a shot to save their own tedious narrative from putting everyone to sleep! Anyway, roll on Distant Worlds 2 – the only other event keeping me mildly interested in E.D. these days. Good luck Drew, and thanks for overseeing one of the greatest moments in elite lore. Although I was not directly involved in the event, I did take part vicariously following one of the live streams. I still resent the actions of the Cmdr-who-shall-not-be-named (well done Drew for not crediting him above) and SDC, as it just didn’t seem in the spirit of things. However, I also understand and appreciate that even they have a part to play in the game (so long as it is done fairly and not through exploits). Anyway, I personally consider the event a success despite the outcome and once again, congratulations to you for pulling it off. Elite: Dangerous DOES need more content like this and I sincerely hope that Frontier did take notice and have such things planned for “Beyond”. Regardless of how she was seen by the Empire and Galaxy, I for one will miss Salomé because of the extra dimension she brought to both the game and the Galaxy as a whole, mainly courtesy of your engaging storytelling. Indeed, she is often still referenced in discussions about Raxxla, etc. and she has certainly made her mark in Elite history (up there with Cmdr Jameson). It is safe to say she will never be forgotten and your event will never be forgotten; something of a milestone in massively multi-player games. In time, Salomé’s actions and contributions may be seen to be all the more significant as the narrative moves on. I truly hope you do return to Elite: Dangerous one day Drew, even if only as yourself rather than a character. I too am taking a hiatus until such time when there is more to do in terms of gameplay that I personally find rewarding. Thank you for that Elliott, much appreciated. I didn’t set out with the intention of making Salomé a major character in the lore, she was originally just confined to my first book – but you can thank the wider community (and the original founders of the Children of Raxxla faction) for adopting her as figurehead. She never became part of ‘Powerplay’, instead becoming an NPC in the game with some agency as steered behind the scenes by myself and others. If she’s fondly remembered alongside such iconic figures of gamelore such as CMDR Jameson, I can only say a humble thanks – and point back to the actions of the community who engaged with the story I put together. With a writer and such a community we showed the potential of what could be in a game. I really hope that can be bettered in the future, if not in ED, in other games. As far as I’m concerned, you achieved the impossible. Reclamation was a gripping tale – one that I’ll constantly cherish, and one that I hope to share with my boy once he’s old enough. I appreciate everything you did for the community, Drew. You really are an inspiration. Kudos, Drew. I enjoyed the whole story, and was there for most of it. I went out to the Rift. I listened to the logs on the Zurara. I watched the Salome event unfold. It was an excellent time in Elite:Dangerous, and it was because of you and your stories and ideas. ED wasn’t up to the task, really, but you pushed it to the limit. It’s something I will always remember, too. Glad to see you doing well! However, I’m glad that Mr. Wagar decided to go ahead and try doing one in Elite. Why? Because sooner or later, someone was bound to try it, but they likely wouldn’t have written such a lengthy dissection of what went wrong. It should be quite useful as some reference material, even. So, thanks for getting the event running back then, and for doing the extensive write-up now! Do you happen to know who wrote the Guardian lore texts? Those of the Ram Tah missions. I wonder if it was Mr. Brookes, or someone else. In my opinion, they have been more interesting than what came before. Also, was it Frontier who came up with The Club, and had you work it in, or was that conspiracy your idea, which they then inserted? I assumed it was the latter, but I wonder now. There’s another thing I’ve been wondering about, although I understand that you might not be at liberty to answer. The Dynasty expeditions went off in three directions, and we found the Zurara after the Formidine Rift. Given that there were two other zones, are there also lost ships in those two, or was that one unique? I’m curious if all the voice logs were found. I’m guessing Michael write the Ram Tah missions, though I’m not certain on that. The Club was Frontier’s idea (David Braben’s in fact) I fleshed it out in the novel. As for other things hidden in the darkness… I can’t answer that one. You did good. As you say you need a thick skin for the salt but its just playground talk, hopefully you’ll remember that the complainers like to complain, most of the happy players are silent. Wish FD would do more events like this. I greatly enjoyed your books, and the event. It is a shame you decided to move on, but I totally understand why. I still think it was better to do it then to have not done so. For me and my friends who were involved, even in the wings, it was great fun. For everyone who would say the event was doomed from the start, all I can respond is that achieving greatness often involves taking great risks. If no one is willing to take those risks, we are all poorer for it. Overall, the event engaged the community, and that alone is a success in my book. What went well and what could have gone better both provide lessons for events to (hopefully) come. That is how progress happens. One person dares greatly, lessons are learned, and then we are boosted by their shoulders for the next attempt. Good luck in all your future writing and thank you for your contributions to Elite: Dangerous. Thank you for the blog post – and for everything else you contributed to ED; I enjoyed all of it. Hope to see you again out there in the void at some point, CMDR! Well, I for one had a blast and thoroughly enjoyed the whole saga, both in game and the books. I’d only starting playing a few weeks beforehand, but quickly got sucked in to the whole tale. The story, the theories, the searching, the discoveries. My kids got involved (they spotted the “Rebecca” letters in the final clue but we didn’t figure it out in time) And then the event itself – sure there were some problems, but speaking for myself, from my point of view – I met new friends, joined new groups, did a lot of nail biting, had a lot of fun and really enjoyed it – and at the end of the day isn’t that what it’s all about? It’s a shame to hear about the all grief, totally understand and respect your decision. Good luck in future endeavors and many thanks. Well done to your kids for spotting that clue. 🙂 And I’m glad you found a way into the community too, having fun and meeting new friends is what the ‘end game’ is. I certainly enjoyed the escapades of the Senator, the vast effort that went into the event, but not the eventual outcome. Miss your wise musing on the forum. Thanks Drew for Your hard work! You are now part of Elite Universe. You’re a fantastic story teller and I really enjoyed your books,I’ve read them multiple times! Thanks Tim! Glad you enjoyed the books, I had a lot of fun writing them. I’ll probably log back in for the Q4 updates to see how they are. Anyone adding content & gameplay to ED, the insatiable black hole monster of a beast, gets a plus in my book. Thank you for organizing the event. Good luck in all your new endeavors. 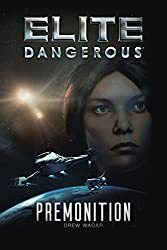 PPS: Loved Premonition & Reclamation. Many thanks Macros. Good luck with Raxxla! Look out for my own space opera in years to come. Thanks Wayne. 🙂 I hope your Salomé has a long and peaceful life! Look forward to seeing you at Fantasticon. Players still talk about the event a year later. That there are people who both praise and vilify you shows that it managed to raise a lot of conflicting emotions in a lot of people. That must be gratifying as a writer that you managed to create so much discussion, debate and opinion within the Elite playerbase. For my part, I sometimes think that I shouldn’t have shown you that video of deep dive fuel scooping. It contributed to the degradation of your ship and modules, and ultimately led to the FSD malfunctions the ship experienced. At least you used the issues in the book to add drama to an already difficult situation. It was truly an honor to have been part of the event. My wife still tells all of her friends about how I had the chance to be part of becoming a character immortalized within a novel! That day was a lot of fun, and to say it was stress free would be a lie. My nerves were a mess the entire trip! It was a sad moment to hear you were no longer taking part in shaping the world a lot of us call a second home, but entirely understandable. It’s unfortunate that you received so much flak over something within a game, but it also shows how strongly they felt about the events that transpired. You created a world within a game that sometimes is vague in its lore and never truly holds our hands to tell the story. We have to find that ourselves. While not a perfect person, Salome was a character that was truly human; conflicted, but knew what she had to do. She never backed down from a fight, and did whatever it took to see her goals accomplished. 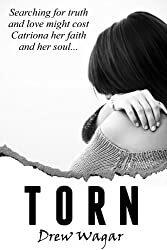 You created one hell of a character Drew, to hear the news that she died legitimately hurt. We will continue to carry out the legacy of Salome, and we will see her goals come true. While I may not have the chance to be on the same side of the gaming world with DW2, I’ll be taking the journey as well. Thanks for the comment. Salomé was an interesting character to put together, see evolve in the books and then come alive in the game alongside other player CMDRs. You did a great job on the 29th – thank you! Thanks to pressures in the real world, I was an more observer than participant for all of the Formidine Rift and Salomé adventures, but thoroughly enjoyed it nevertheless. 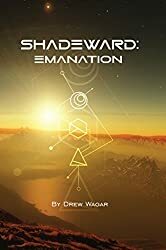 The sense of being part of a living world within the game was very real, and the tensions and excitement created made ED very special indeed – and, Drew, that’s largely down to you. People bought into it because there’s a hunger for space adventure with purpose, and you provided that. ED is somewhat empty and lifeless now, Thargoids notwithstanding! So, well done Drew, and thank you. Thanks Tim. The frustrating thing is that there were (probably still are) many folks who would happily contribute to ED to add all sorts of bits of narrative and purpose into the game. The original writers from the Kickstarter were up for that, but it was never really embraced beyond the books. It didn’t need to be a galaxy spanning save-the-universe story, but a whole bunch of individual bits and pieces around certain systems or locales would have added a lot of colour to the procgen environment – which was something we all knew would be an issue right from day one. Something of a missed opportunity alas. Thanks for your comment though, much appreciated. Hey drew thanks for this reclamation was the first time I felt connected to the game and premonition to me felt like waiting for a huge new movie and didn’t dissapoint. I think the backlash from the community was awful as ultimately you made the game world better. A cheeky question (which I’m not expecting you to answer!) How do you feel about fdev after this? Did they support with the community backlash or do you feel they left you hanging out to dry? Hi CMDR! Glad you enjoyed Reclamation. The event was always ‘mine’, FDev supported with content and promotion etc, but they weren’t involved in the organising of the event itself. ED is a game, and the focus has always been on that. Gameplay, pewpew etc. always trumps lore and story-telling. The game has been a major success – 3 million copies sold – so arguably FDev have done the right things from that perspective. I do think the lack of use of the lore/story-telling is a missed opportunity overall given the richness that the Elite franchise had over most other space games (only Star Wars and Star Trek have more), but it’s likely that from a hard-nosed investment/sales opportunity it simply wasn’t worth it from FDev’s perspective – they are not a huge company. Regardless, that ship has definitely sailed (low-waked?!) now. I don’t think that will change much in the future and thus (from my perspective at least) the best days of ED are behind us. For what it’s worth, with this type of thing there is always going to be a significant, and loud, minority who don’t like it or want to draw attention to themselves by sabotaging or criticizing the event. I suspect that the majority of players who took part in this with an open mind enjoyed it – I know I did and I know many others who also did. I guess it’s like politics – best you can hope for is that 51% of people like it, and often those 51% of people won’t even tell you – you’ll hear a lot more from those who don’t like it. Also, even if the event had been staged or had a pre-determined outcome (which I know it did not), what would be wrong with that? FD have run many streams and items where it appeared the outcome was largely predetermined, or at least preordained within some narrow parameters. Thanks for the comment, Patrick. 🙂 I hear what you’re saying and you’re right that folks complaining always outnumbers the praise. Lots of folks have (as can be seen above) left positive comments regarding what I attempted. I could have told you that ages ago 🙂 SDC put a 10 million credit bounty on my head after I argued that they shouldn’t be allowed to be a part of the Colonia Citizens Network. Drew it was so good to hear your one year remembrance of the event. I and a small handful of our player group (SEPP) were at the event and peripherally involved through PAC. My Imperial Courier (only Imp Ship I own – I ranked, bought and engineered it specifically for this event) still, and will always bear Salome’s name. I was saddened to see the backlash you took over the event, but I for one loved the books and the event even though I was barely involved. I hope to see you back in game after qtr 4 like you mentioned. Thank you for your stories and lore. Thank you for putting up with all the @#$@#$ that flew your way. Your efforts were NOT in vain. Salome’ will be remembered. I was new to Elite when all this was going so only vaguely aware of the events at the time. Wish I knew then what I do now, about the game and the lore, as I’d have loved to be apart of what you bravely tried to create. After reading what you wrote, above, I feel doubly saddened about what happened and that probably nothing will ever be attempted like this ever again! I’m all to aware of how cruel people can be, especially when they hide behind a monitor screen! but maybe consider this as free advertising, embrace it and use it to suit your needs. Hi Alan, thanks for the comment. 🙂 I did indeed try, I hope someone can run with this sort of thing in future and exceed what I did manage to achieve. The potential is there. I’m very late to the show here but I just stumbled over your post today and still feel like adding my 2 cents. I belive that you (and the player groups and players involved) created a pice of lore on that day that is well remembered up to today. It’s just today that I read a couple of comments about the “Salami” event on the forums. Unfortunately I was not there when the chase was on (because of time limitations) but I read all about it on the forums and later on in the book. In my opinion it was a good story that was shaped on that day. A story with a sad ending, but that’s how some of the best storys end. I want to thank you, that you tried and though the event certainly was not a total success in all of it’s aspects it just as certainly did change the game world forever. And even today Frontier is not so much better in organizing in game events – the recent “Gnosis” obviously was also cursed by bugs and problems and there were similarly split opinions in the community as about the Salomé event. I still play the game – though not very much becaus time restrictions became even worse – and I pity your decision to turn away from ED entirely. Greetings Drew. I too am a bit late to this topic, but accept my thanks for doing what you did with the Salome event. Reading your summary here cleared up a lot of things for me that occurred on the day. I was a non-grouped commander on Raan Corsen’s friendlist, I enjoyed chasing him up through the bubble, as an ally of Salome’s. I’m not a regular PVPer, but was ready to help the mission succeed any way I could. I remember jumping into a system with dozens of PAC ships waiting. They ordered me out, I didn’t comply and one of them interdicted me using a lesser ship than mine. I stripped his shield off and damaged his hull, and rewarded his bravery by not completely destroying his ship. Unfortunately the system cops had arrived and finished him off before he could leave. And Raan Corsen succeeded where Salome did not. I’m sure there are many untold encounters like this one that happened because you had the nuts to attempt a public event on a P2P platform. So I offer a tip-of-the-hat in your direction sir. The limitations of the game itself were the main reason the event didn’t go that smoothly, but that isn’t your fault. You deserved kudos, not salt. I wasn’t able to take part in the event but was keen to follow it from afar. You managed quite a feat with the community involved story and the event and it really did feel like something was happening. It brought ED to life. There are times when I think ED could do with a stronger hand on the story tiller, for the story to be more captivating. I guess it’s hard being a massive open-world game where the player is just an individual, as opposed to a single-person adventure where you are the HERO, following a scripted path. Nearly two years later and I still regularly chat with my best online mate. He and I met when I multi-crewed into his Anaconda for the Event. He even taught me how to cuss like a Scot! For all the grief you took over that event I am sorry. But a real life friendship formed and you had a hand in that. So joke’s on them!